Take advantage of our experience in application of DLP pico projection technology, MiiCraft provides not only the ability to print accurate and delicate parts but reliable in our customers’ daily production processes. Over 70% of our customers are using Miicraft as manufacturing equipment, therefore, we devoted a lot of efforts on every mechanical design and easy maintenance by customers. 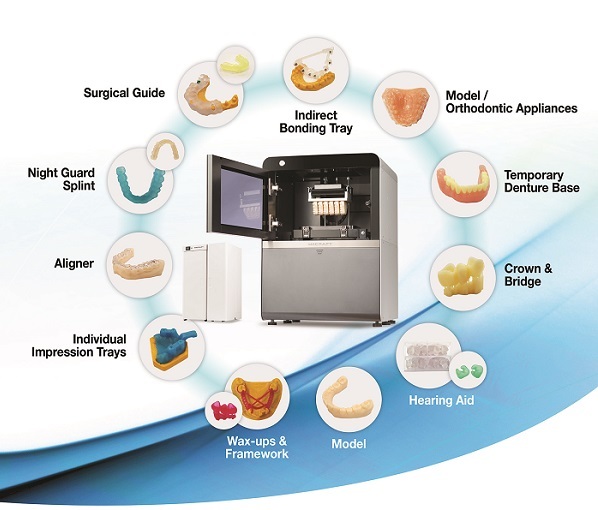 MiiCraft is able to print precision attachment for partial denture, crowns, bridges, veneer, working model and etc. Moreover, Miicraft is flattered by our customers to be the best companion for dental technicians. MiiCraft dental solution offers the stable printing materials coming with the constant parameters. It saves the technicians’ efforts in casting work. 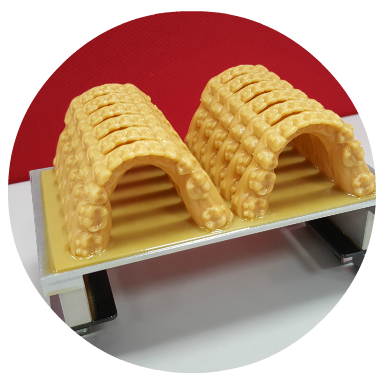 With MiiCraft, the technician may print twelve models within 3 hours. * It offers the lab owner bigger flexibility in manpower planning. The lab can respond to dentists’ needs more instantly. * Disclaimer: the number of models in one print plate might vary with the exact size of different models.